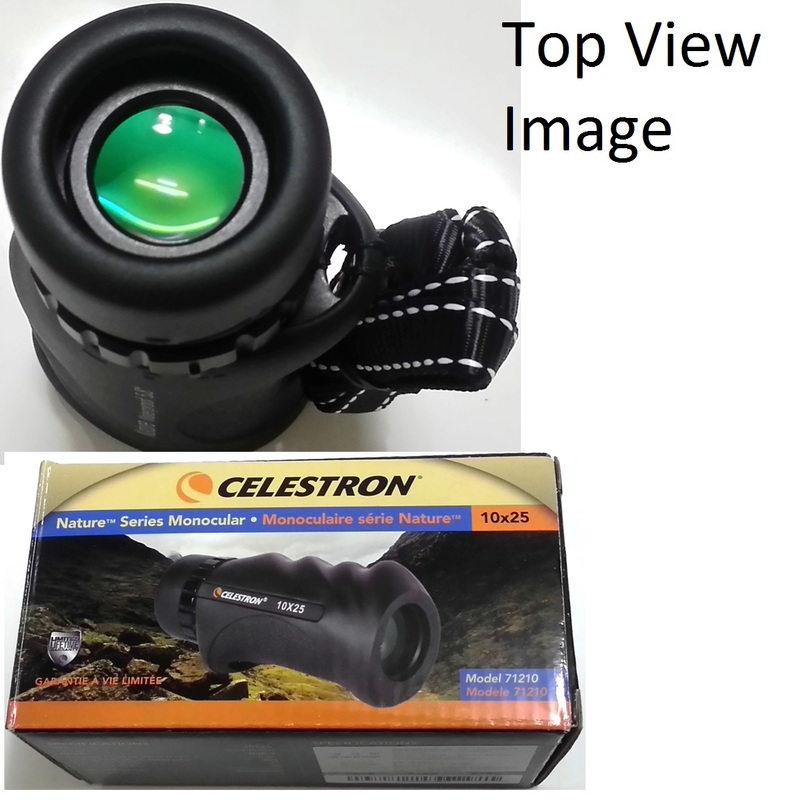 See our Celestron shop for full range of Celestron products. 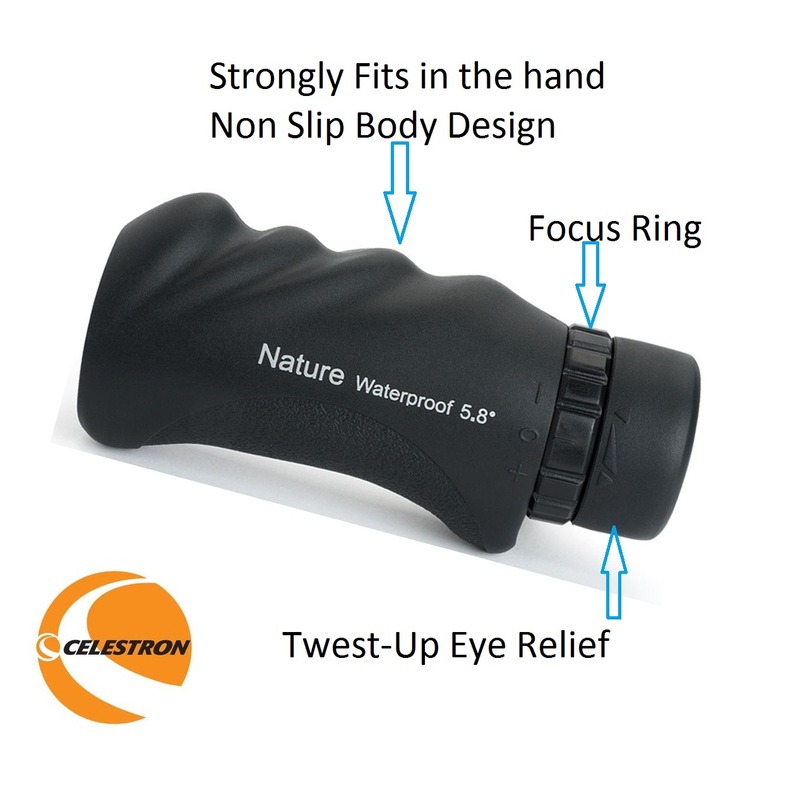 Celestron Nature 10x25 Monocular : The 10x25 Nature binocular is a lightweight handheld optical device useful for sailing, bird watching, golfing, and hiking. The monocular offers a long range magnification of 10x. A rubber armored exterior provides a comfortable and durable surface for extended use on land and on the water and provides a satisfying tactile experience. An included carry strap ensures that this monocular will remain with you as you are bouncing around on the trail or moving over choppy waters. Multicoated optics and BaK-4 prism transmit bright contrast-rich images throughout the entire focus range. 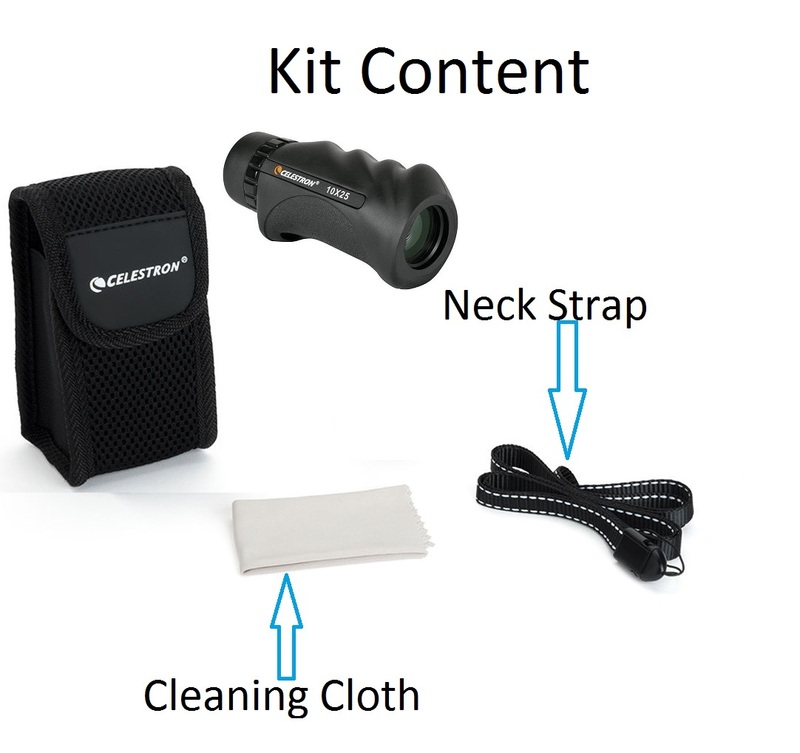 The waterproof and fogproof housing ensures that this monocular will perform in driving rain and extreme humidity. 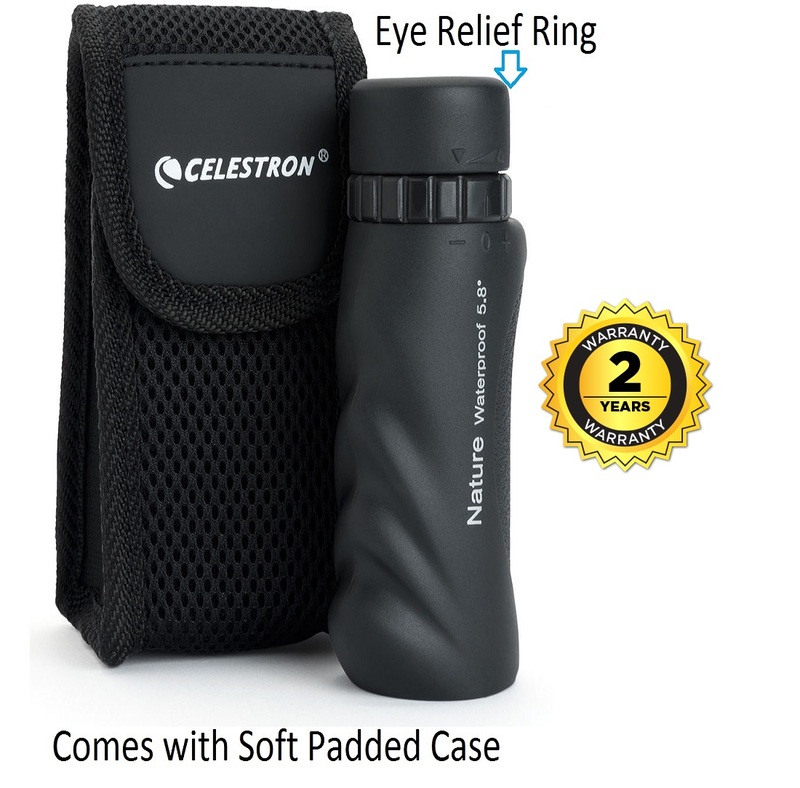 Compact lightweight design makes this monocular easy to slip into pack, glove compartment, golf bag, and even cargo pocket. 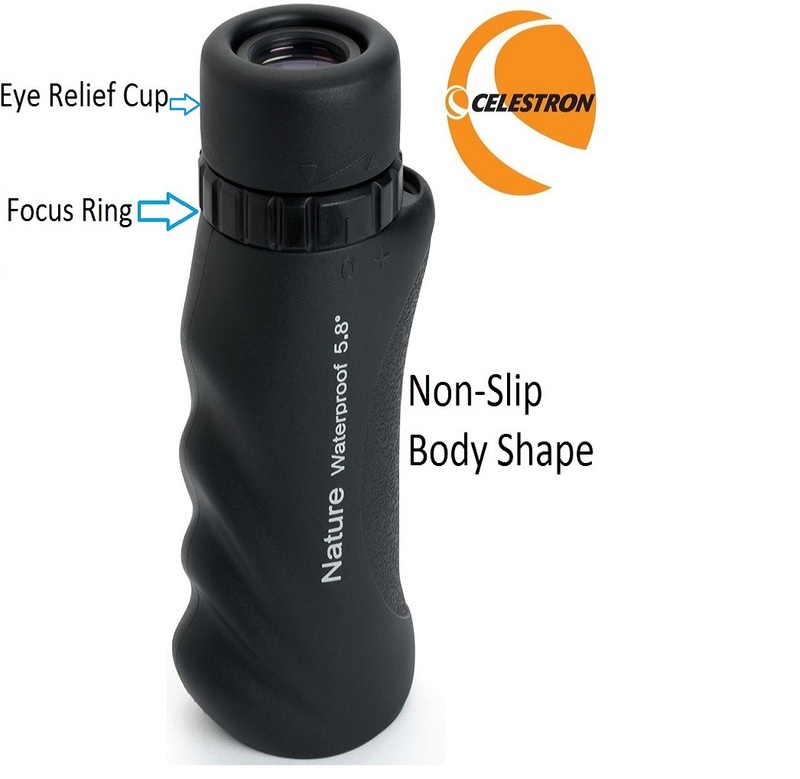 Celestron Nature 10x25 Monocular is available at Microglobe at discounted price. Microglobe is largest online sport optics store of the UK. 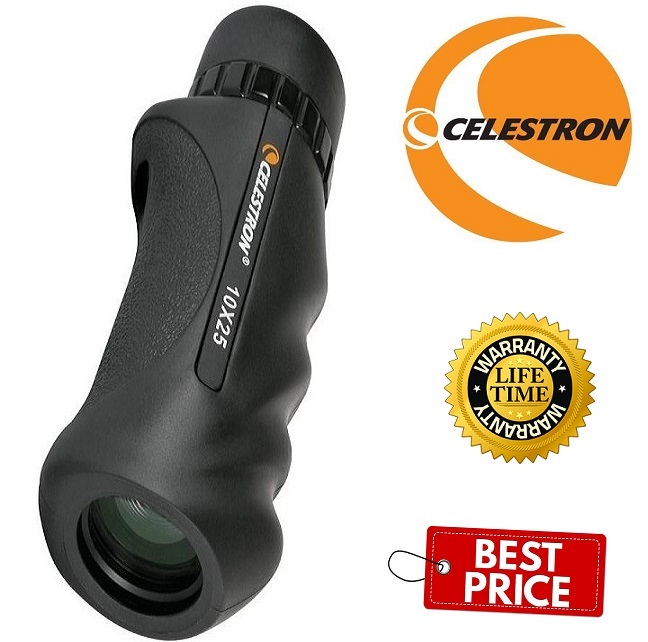 For more information about, Celestron Nature 10x25 Monocular website.